We make it simple and stress free to add Neuro-PT to your facility and improve results for your enrollees. You can add to your revenue and let your reputation soar with this state-of-the-art technology and modality. Enrollees in SYMMETRY Neuro-PT, will take part in a series of one-hour sessions. During passive, relaxed sessions, they will receive visual and auditory feedback based on their brainwave activity which helps re-pattern neural pathways. These sessions allow to train the pathways in the brain to reignite and reconfigure dysregulated pathways. Personality endures, but awareness and adaptive responses are cultivated. Our experts provide the systems, training, education, and clinical support needed to get your program up and running. We offer a solution that will provide your facility the opportunity to experience state-of-the-art technology, and you will begin to see positive changes in your enrollees, facility and overall cognitive well-being. 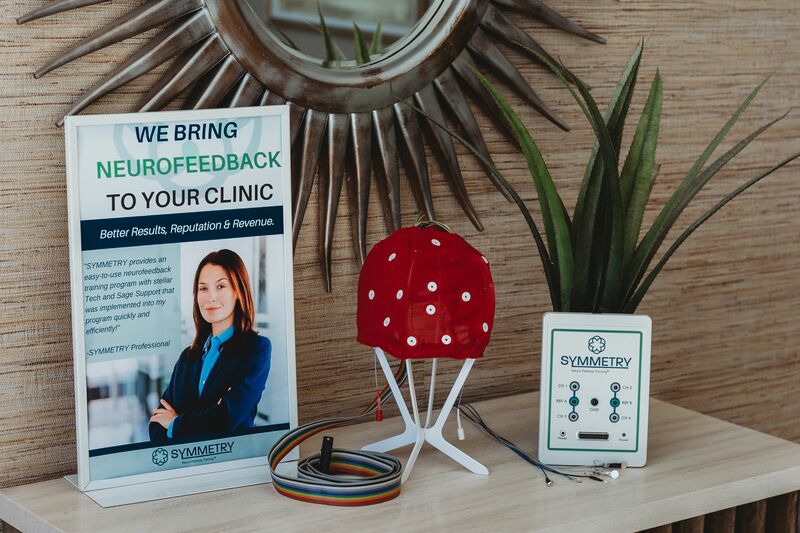 We make it simple and stress free to add SYMMETRY Neuro-PT to your facility and improve results for your enrollees, add to your revenue, and let your reputation soar with this state-of-the-art technology and modality. See if you or your family qualifies with our SYMMETRY Centers program with a free consultation.